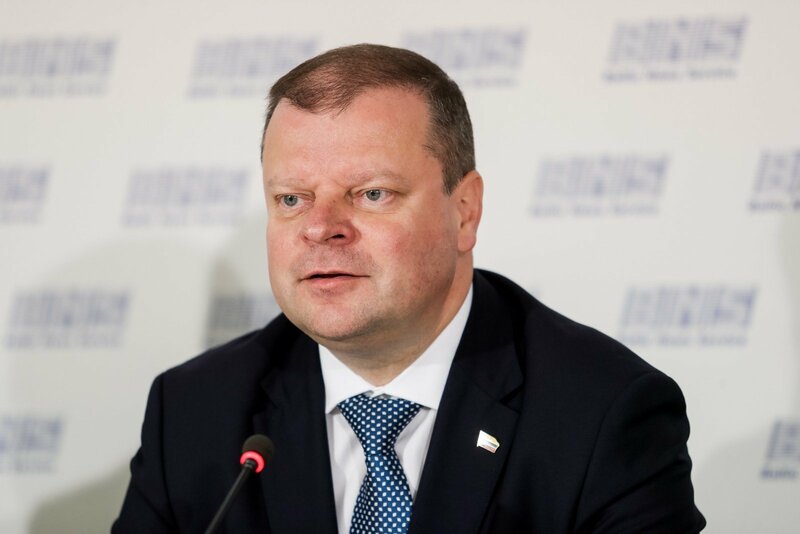 Lithuanian Prime Minister Saulius Skvernelis said on Wednesday that Lithuania attaches great importance to constructive relations and practical cooperation with China. Skvernelis made the remarks when he met with Chinese Ambassador to Lithuania Shen Zhifei to discuss bilateral cooperation and other issues of relevance. "China is definitely our most important trading partner in Asia. The cooperation between Lithuania and China in the field of agriculture is of particular significance," said Skvernelis, adding that Lithuania regards China as one of the priority export markets for Lithuanian food industry. The prime minister said that Lithuania is seeking to expand its cooperation with China in the areas of cargo transit, agriculture, financial technology, tourism, science and culture. The Chinese ambassador emphasized that China will always be a partner of Lithuania and pose no threat to Lithuania. China will promote the policy of opening up, which will bring more opportunities for Lithuania. The ambassador hoped that Lithuania will keep its market open and build a level playing field and a fair business environment for all companies and foreign investors seeking to develop in Lithuania.